Hi friends! If you follow me on Instagram I'm sure you saw my overload of New York Fashion Week photos! 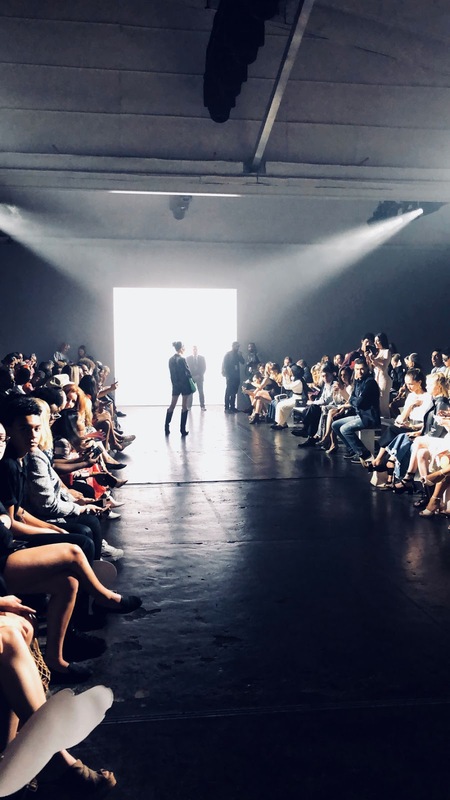 It was my first time attending fashion week and it was such an experience. I shared a roundup of what I wore in this post but I wanted to talk a little bit about why I went, how I went, what I learned and what I would do differently next time. At the time I decided to go to fashion week, I probably had around 6-7,000 followers which is not a ton in the influencer world, but I was still able to get invited shows, meet with brands and get some of my outfits sponsored! I think you really get out of it what you put into it - if you're willing to work your booty off, you can make it happen. Of course, some of it was luck, but most of it was hard work. Shop all of our outfits here! I am not an overly outgoing person. Honestly, I'm reeeally shy at first until you get to know me! I've built such an online persona and I need to work on backing that up in person so I went to fashion week to force myself out of my comfort zone and hopefully meet other likeminded girls. Plus, when your blogger bestie asks you to go with her, you can't leave her hanging! I was lucky to be able to travel with Ashley from Sass and Satin and Courtney from The Finishing Touch. Both of them are fellow OKC bloggers and we were able to help plan each other's outfits, pick shows and plan our weekend! We met Ann of Humanly.Us in NYC (the "retired queen of OKC" who is moving to Germany, WHAT) and had such a great time all together. Four girls in one tiny room was a lot but we powered through (on little to no sleep) even after a terrible day of travel. If you saw my stories, Ashley and my flight to NYC got cancelled (as did Ann's) so we had to fly into Philly, rent a car and drive to Manhattan at midnight. Anxiety was at an all time high but we made it. When we arrived at Yotel and saw the view from our room, it made it all worth it. 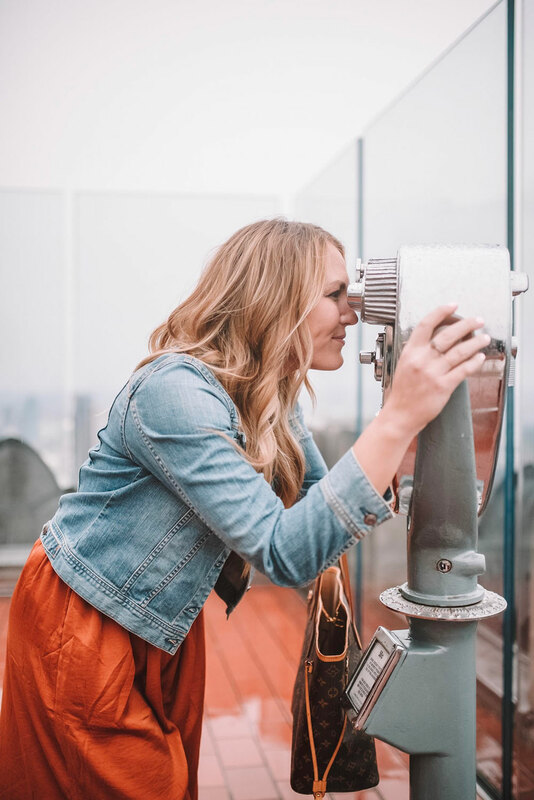 As I said earlier, I'm a relatively small blogger in comparison to others (although I did hit 10,000 Instagram followers while in New York!). Fashion Week can be a BIG expense so I had to save and prepare quite a bit. Also, you can't just walk into a show or event....you have to be invited and seating is limited. The competition is fierce, lemme tell ya! To help with expenses, I reached out to smaller boutiques (like Pink Lilly, Vici or Red Dress) and asked them to sponsor an outfit. I didn't have a huge response, but I was able to get two outfits completely free which helped a ton! To get invited to shows, I signed up for GPS Radar app. To be honest, it was a bit of a headache and the app sucked but I did score a handful of invitations. Also, reaching out to any brand contacts you might have is HUGE - just ask them if they will be at fashion week! I was told to pitch out to PR companies asking for invitations to shows (which I did) but I didn't get anything from it. I would say using contacts you already have from past collaborations is the way to go. 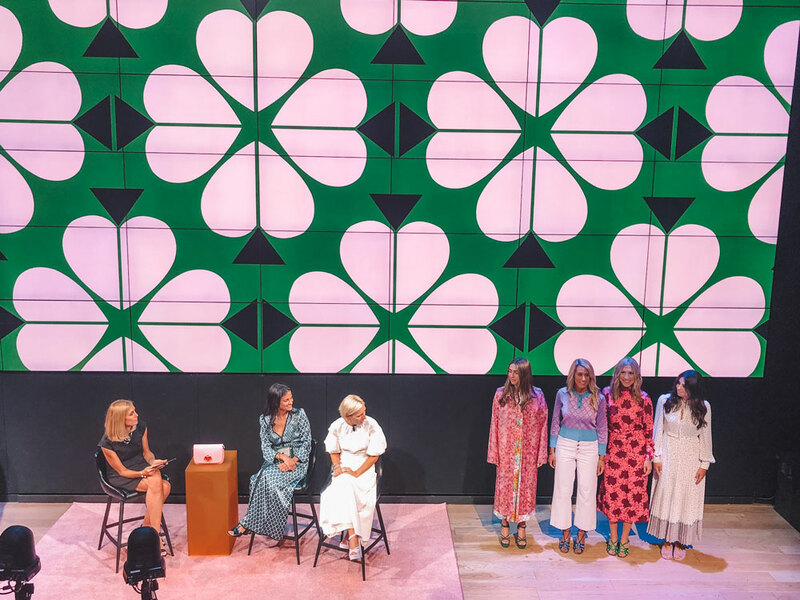 The number one thing I would change is to do more brand things and go to less fashion shows. Sure, it was cool to go to a show but building a relationship with a brand is ten times better in the long run! 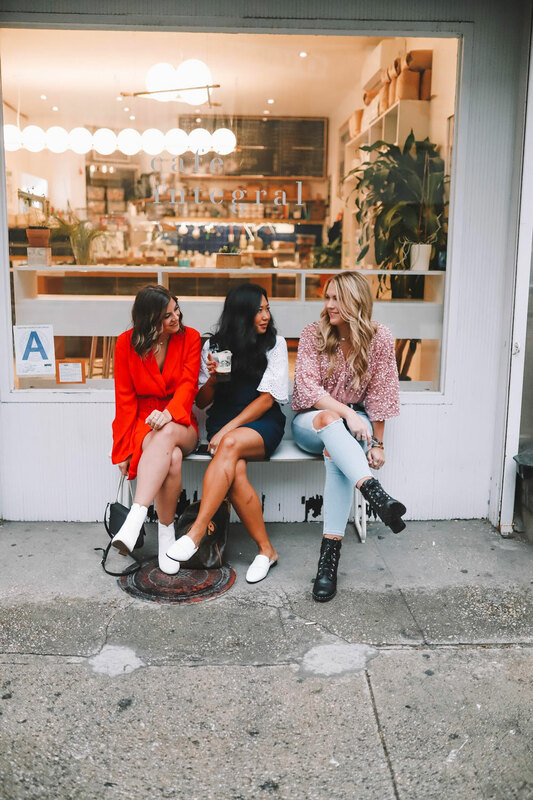 Brand events are also when you are able to socialize with other bloggers which is something else I wish I did more of! 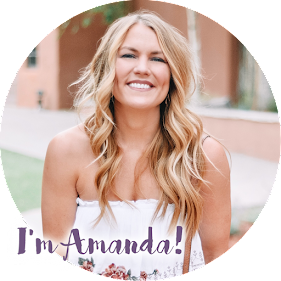 I was able to attend Kendra Scott's Coffee + Clothes event and had such a fun time. 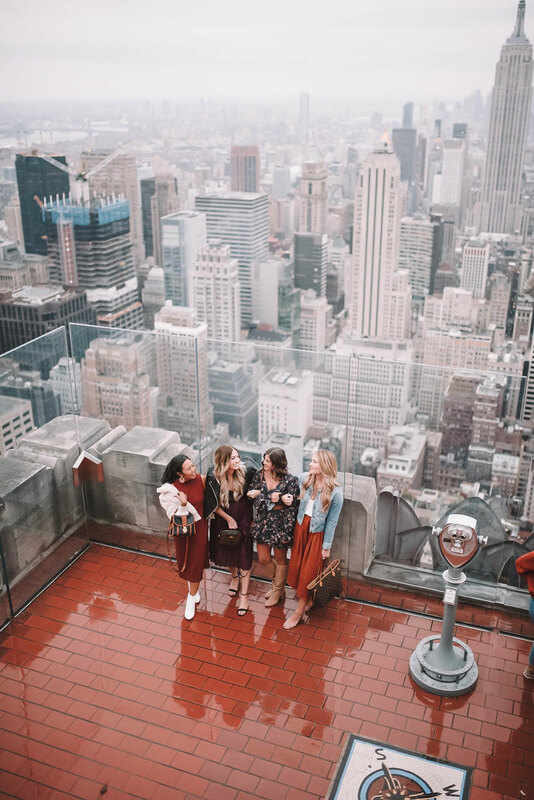 They recently opened their first store in NYC on Spring & Green in SoHo so it was really neat to see it, officially meet girls I only knew from Instagram, and just enjoy the experience as a whole. It was one of the highlights of the trip for me. 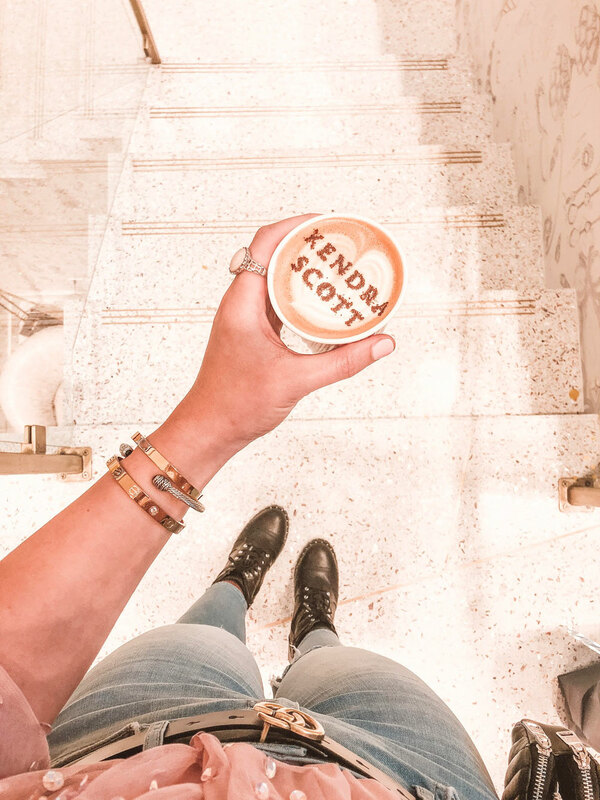 Plus, who doesn't want to shop at a multi-level Kendra store with a latte in hand?!! Another thing I would change is to spend more time in New York but do the same amount of stuff. It isn't worth it to cram everything in and run yourself ragged. 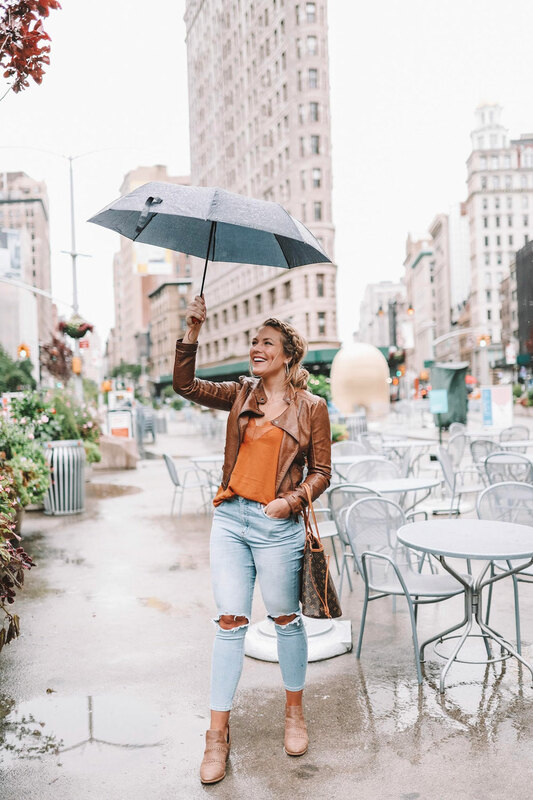 New York City is a magical place and if you're too busy keeping up with a schedule and running back and forth around town, you won't enjoy it. I am a HUGE planner (hello trip itineraries) but I think next time I'll force myself to go with the flow a little more. Lastly, I would take fewer Lyfts/Ubers. HA! My poor credit card. The subway really isn't that bad (and it typically takes the same amount of time as driving) but you do have to be prepared to walk a little ways to get to it. In my opinion, it is 100% worth it to save a few dollars that could be put towards a fun purchase or a yummy meal. What you may not know is that fashion week in September is all about spring and summer styles while fashion week in February is all about fall styles - seems a little backwards but it is really intended for designers to get ready for they upcoming season, not the season they're already in. I noticed a lot of sequins, fringe, florals, blacks and some 60s vibes on the runway and I can't wait to start rocking the trends come spring. Kate Spade's new line is so fun...you just wait! 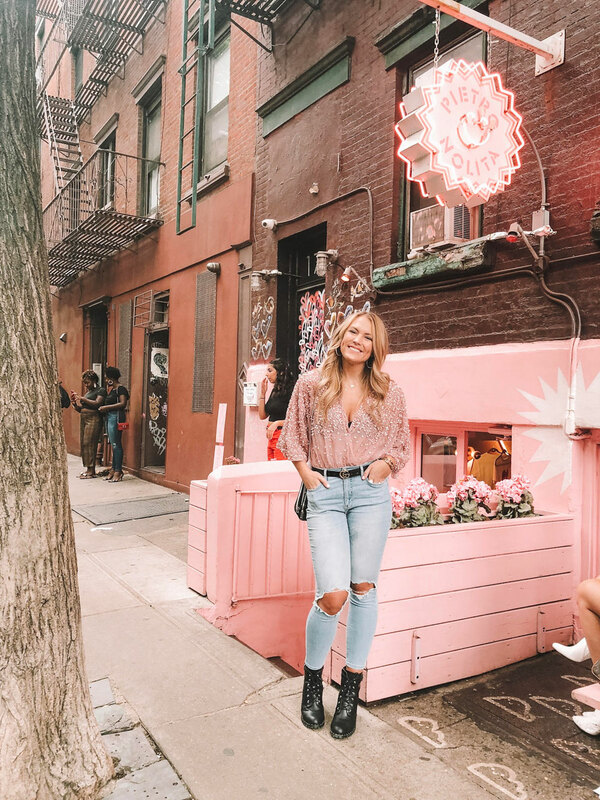 Ashley did a really great recap post on what we did while in New York - you can read it here! Thank you so much for reading - if it weren't for you guys and your support, I never would have made it to Fashion Week. I'm forever grateful! I'm off on a new adventure with C next week - stay tuned to Instagram to see where we're headed. Hint: it's quite the opposite of Manhattan....geographically speaking and just in general!